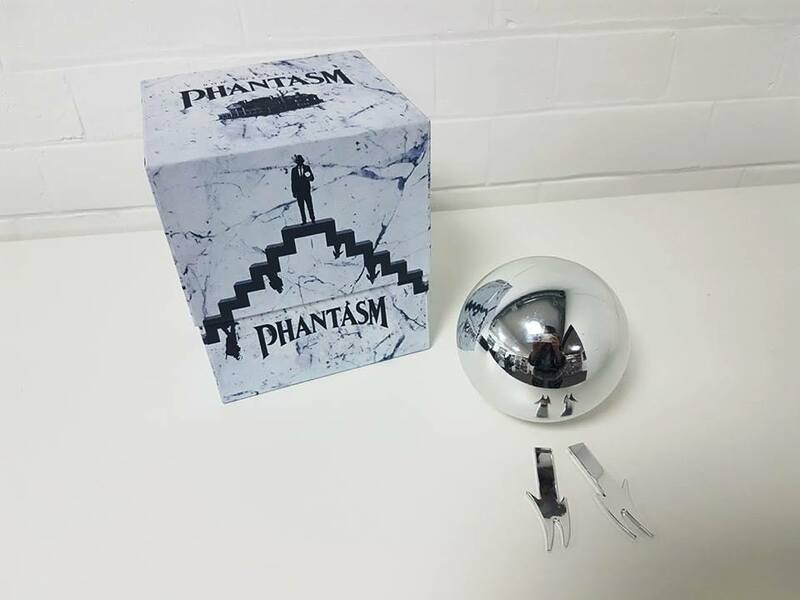 The folks at Arrow Video have unveiled a design mock-up for their upcoming six-disc Phantasm Blu-Ray collection. You can see some of these photos below and even more over on their Facebook page. 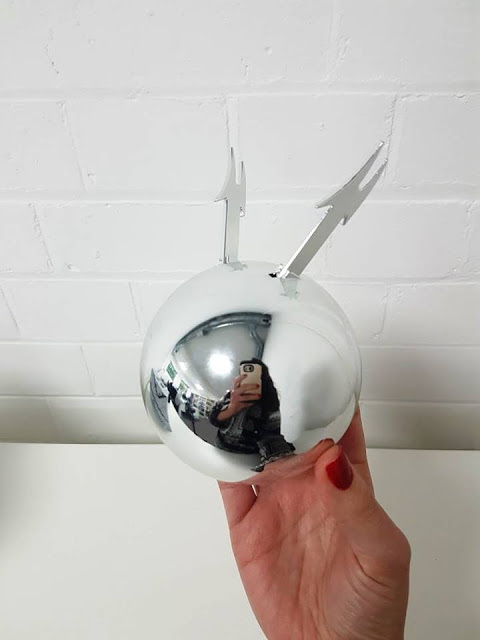 The hotly anticipated set, which will be limited to 10,000 units, also comes with a brand new silver sphere replica and 152-page retrospective book. Phans should take note, however, that this release will be limited to Region 2 (Europe), so you'll need a region-free player if you plan to watch in North America. 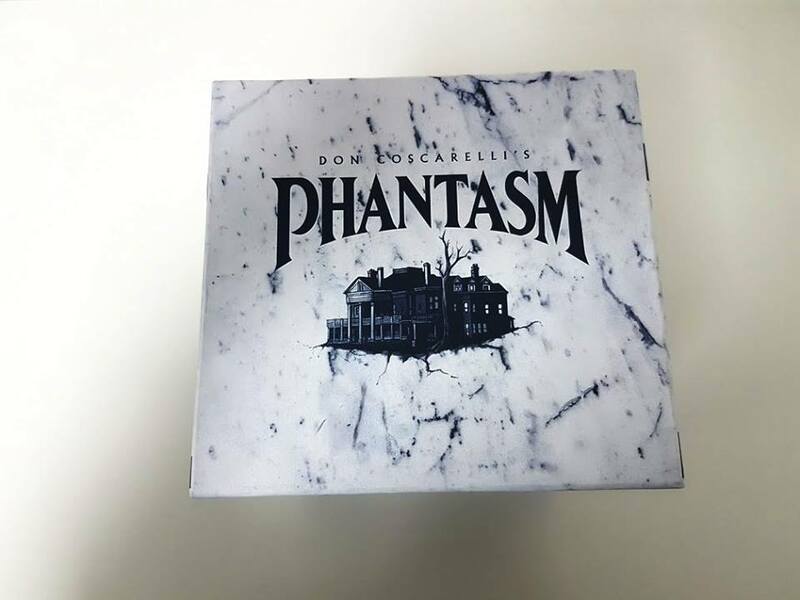 Arrow's initial list of bonus features packed a ton of previously seen material. 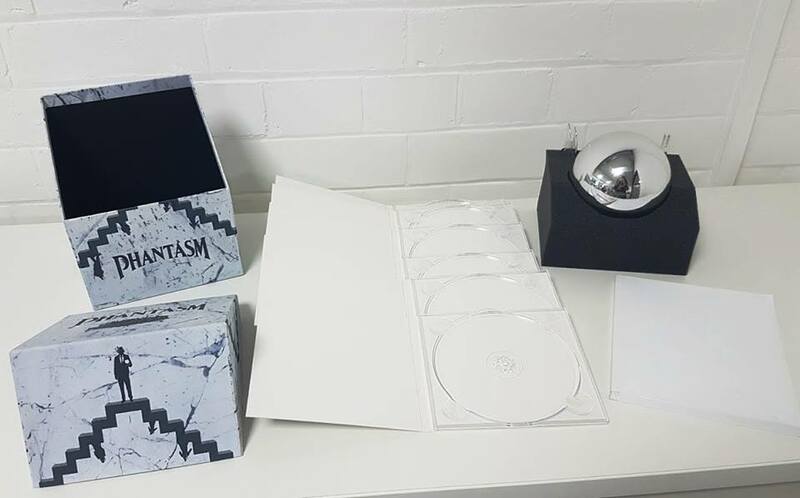 They have yet to release a comprehensive list of supplements, though early word is that they have been hard at work on a slew of newly created extras! 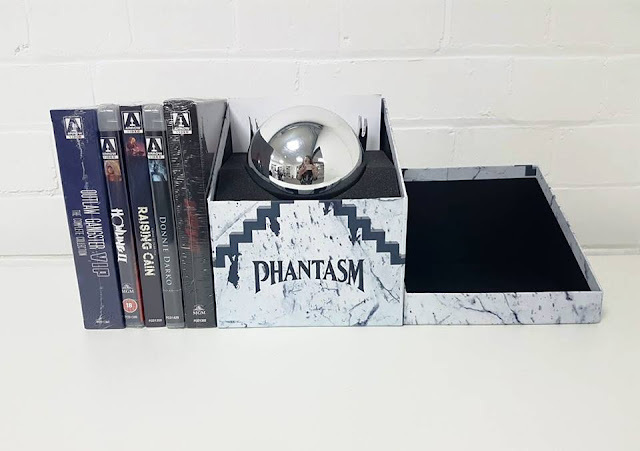 Fret not if you're a North American phan - Well Go have also been hard at work on their own Phantasm Blu-Ray collection.